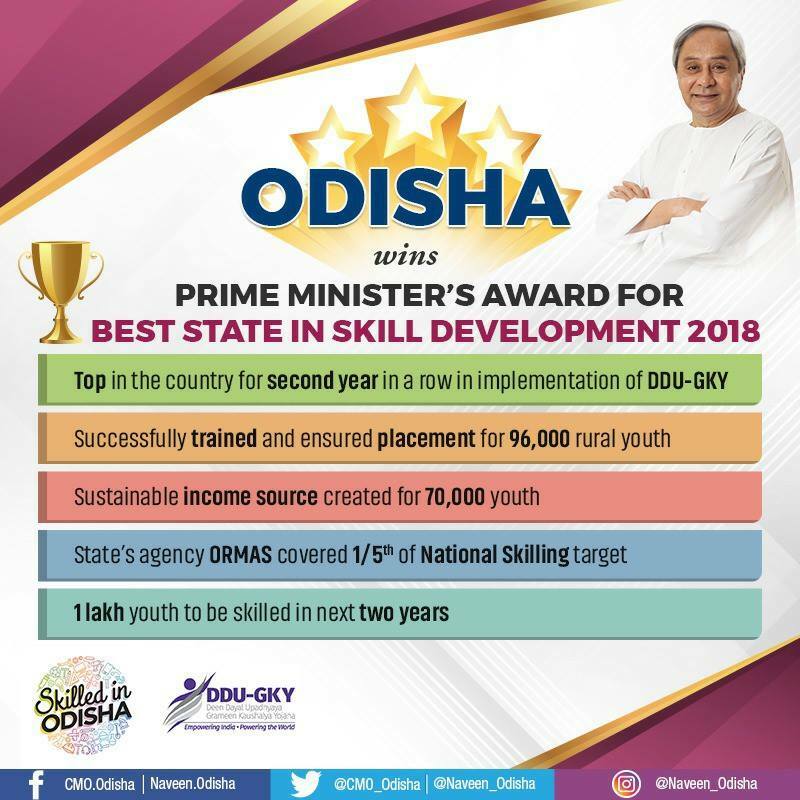 Bhubaneswar: Odisha will be presented with the Prime Minister’s award on May 5 as the best State in the country in skill development of rural youths. The State has bagged the award for the second consecutive time. “We are proud that Odisha has successfully trained and ensured employment for a record 96,000 rural youths under the Deen Dayal Upadhyaya Grameen Kaushalya Yojana (DDU-GKY). Our Odisha Rural Development and Marketing (ORMAS) with its out-of-the-box initiatives for ‘Quality with Quantity’ accounts for one-fifth of national target,” Chief Minister Naveen Patnaik said in a Facebook post. “Many reputed national and multinational companies prefer our skilled youth. More heartening is the fact that other States are studying the Odisha model to replicate it for skilling their youth,” Patnaik said. “Many congratulations to Panchayati Raj Department and Team ORMAS for the achievement. Let us continue to march ahead with collective efforts to give shape to our vision of making Skilled in Odisha, the best in the world. And, the world will ask, “Are you skilled in Odisha!,” the CM added.